IASP Director General Luis Sanz and Chief Operations Officer Ebba Lund visited two innovation districts at different development stages in London, UK, as well as the Innovation Campus Here East located at the former Olympic Park in the east of the city. Guided by the local expertise of Jonathan Burroughs of Creative Places, they explored the varied approaches to supporting knowledge-based activity. 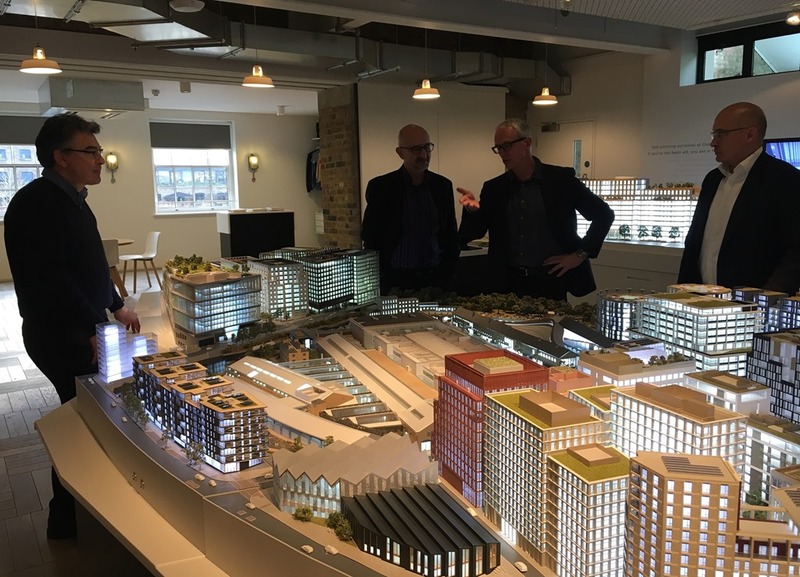 In King’s Cross, a knowledge cluster has emerged around the nucleus of University College London (UCL) with other notable organisations including The Wellcome Trust, Google and Facebook based in the area. A range of public and private stakeholders work together under the Knowledge Quarter brand to manage and develop the area, lead by CEO Jodie Eastwood, who explained the transformation it has undergone in the last decade to turn former railway sidings into a hub for life sciences R&D. They also met with Argent, who explained their role as property developers and how they invested in soft infrastructure at a very early stage to help raise the profile and value of the area. The cluster is now well-established, with its central location and excellent national and international transport connections as major selling points for potential residents. 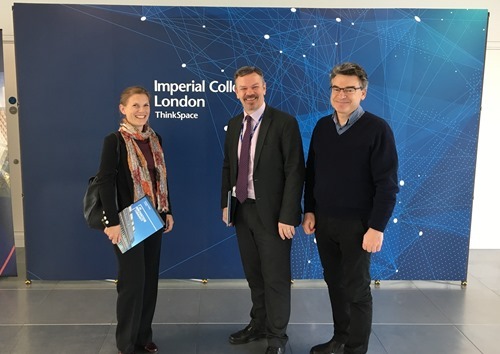 They also visited the Imperial College White City campus, an emerging knowledge cluster where they met with Eulian Roberts, CEO of Imperial College ThinkSpace. With the former BBC television centre providing a new space to redevelop, the local authority and the university are working together to develop an innovation district for startups and SMEs with a focus on life sciences. 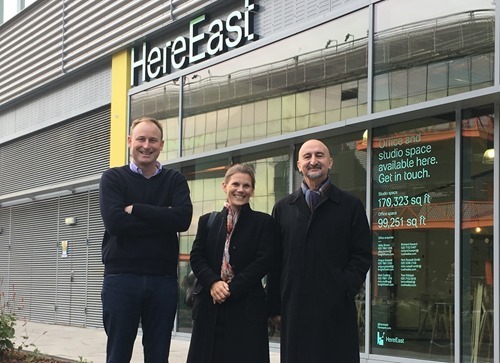 With the I-Hub incubator already up and running, White City is currently developing a scale up space for growing companies as media, arts and tech businesses begin to move to the area, and aim to attract major anchor tenants in the near future. At private initiative Here East they were welcomed by CEO Gavin Poole, who shared the story and vision of how the facilities of the former Olympic Park have been converted into an innovation campus. 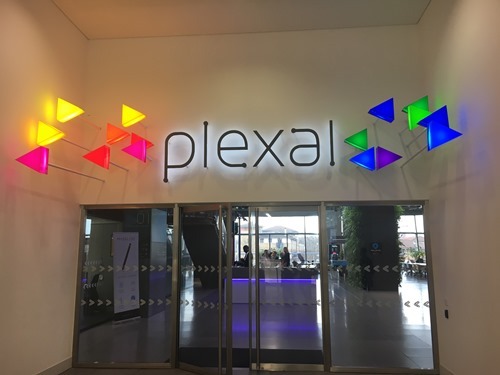 Its eco-friendly buildings house the Plexal innovation centre dedicated to new technology with accelerator programmes focusing on sport, health, fashion, Smart Cities and IoT. Further from the city centre, Here East is capitalises on the area’s reputation for creativity and innovation to attract startups and multinationals alike, as well as to develop local talent through education. It includes the Cultural Education Quarter which aims to be Europe’s largest arts and culture district and will bring together the best arts, education and culture organisations in one space. 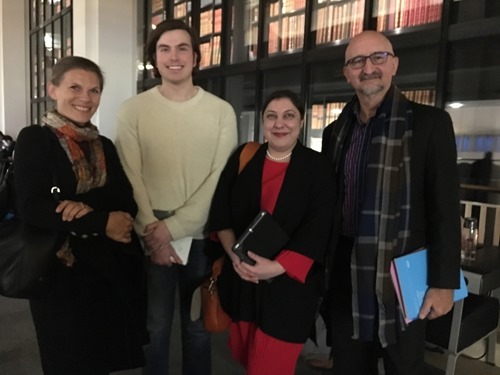 Iconic institutions already committed to the Cultural Education Quarter include the V&A, London College of Fashion, University College London, Sadler’s Wells and America’s Smithsonian Institute.